Harmlessness is the basis of the philosophy of nonviolence and is supported by a belief in the sanctity of all life, animal as well as human existence. To live in accordance with this doctrine, one must practice pacifism and kindness towards all beings in all kingdoms of Nature. 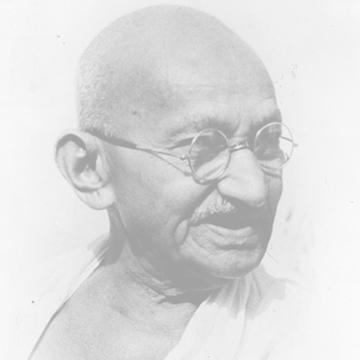 Ahimsa is a profound philosophy, the one in which Mahatma Gandhi found the inspiration for passive resistance to the British occupation of India. This political strategy was adopted by Civil Rights activists in the United States as well as opponents of apartheid in South Africa. Those with the courage to oppose injustice shame adversaries who use cruel measures to protect their political and economic interests. While ahimsa is the core of the Jain Religion, history has demonstrated that since virtue holds the moral high ground, it always prevails in any struggle for peoples' hearts and minds. Contrary to what some people believe, ahimsa is the path of moral courage, not cowardice. Anyone guided by this philosophy must be a pacifist. He or she must oppose violence of all types: war; cruel research on animals as well as the use of animals for fur, food, and pharmaceutical drugs; and exploitation of individuals and natural resources. Such persons must be conscientious objectors. They must oppose abortion as well as the death penalty. The reason is that all life is given by God the Creator. Thus regardless of the outrage, the ultimate penalty, death, cannot be decided by man. Pacifists must not only walk their talk but refuse to engage in activities that could incite others to acts of violence. Therefore, their talk is peaceful and harmonizing. To experience peace, it is necessary to offer this peace to others. One's behavior should not enrage anyone else. One might argue that while tolerance may be a virtue, compromise where moral values are concerned is not virtuous. Therefore, ahimsa is a morally demanding code of conduct that obliges us to consider the effects our actions have on those around us, not merely members of our family and community, but people with different customs living in other parts of the world. It forces us to be vegetarians because it is unacceptable to take life so as to nourish oneself. There is abundant nutrition in fruits and vegetables and legumes; and Nature provides fine medicine in the form of herbs and minerals so there is no need for food or medicine containing animal products, much less products based on research that causes suffering to animals. There can be no war. There can be no abortion. There can be no capital punishment. There can be no fish, fowl, or meat in the diet. There can be no use of pesticides because killing of insects is prohibited. There can be no use of hormones derived from animals if the animal suffered as a result of the process used to harvest the hormones. There can be no use of vaccines based on weakened strains of bacteria or viruses because small as these life forms are, they are living creatures. Conflicts must be resolved peacefully. This implies that resolutions will settled amicably and fairly. All parties will be satisfied that the settlement is in the highest interests of the affected individuals. The world will be more peaceful when we learn to solve conflicts ethically. This will reduce fear and the effects of fear and disenfranchisement on behavior. Intimate relationships will be more harmonious if the precepts of respect and harmlessness are accepted. They are also likely to be more responsible if abortion is not seen as a way to terminate pregnancy. The criminal justice system will be forced towards more creative rehabilitation of offenders so that society is brought into harmony. Offenders must learn to use more skill in expressing themselves; they may also be required to face their victims and accusers and offer restitution for the losses and suffering their crimes caused. Nature will be permitted to be natural and to heal of the poisons put into the air, soil, and water. Food will be more wholesome because it is organic. People will know themselves because they are free of the influence of foreign hormones. They will be more in touch with their feelings and the sensations in their bodies and thus better able to function because the distortion caused by hormones will no longer affect their moods and emotions. The relationship between the animal and human kingdom will improve, and there will be fewer diseases passed from animals to humans. Medicine will have to devote itself to immune enhancement and healing since destructive methods of dealing with injuries and disease are not permissible.